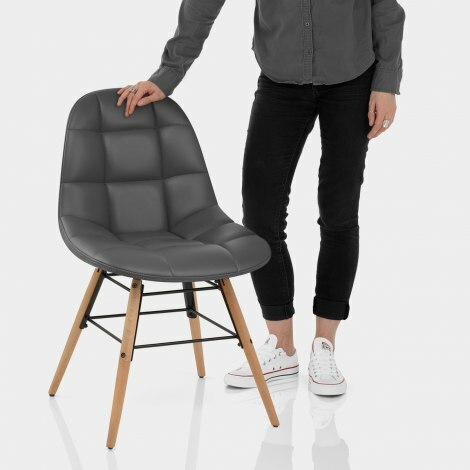 An impressive and ergonomic design, the Tate Chair Grey is a funky multipurpose piece for your home. Demonstrating a cool mixture of retro and modern styling, the Tate will make a welcome addition to the dining table, desk, bedroom, and beyond. 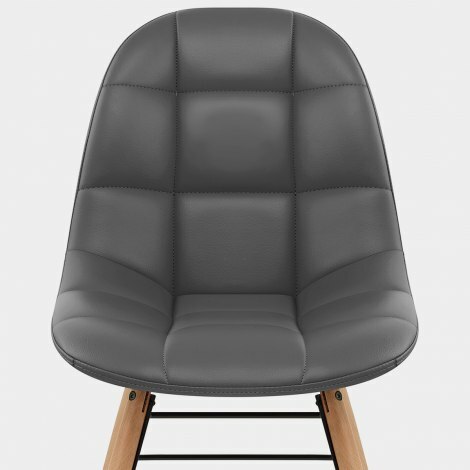 Padded for quality comfort, the timeless curved seat is upholstered in gorgeous grey faux leather and is inlaid with decorative grid stitching. Comprised of solid wood with an oak finish, the four legs provide a strong foundation, and are enhanced by square black satin braces. Protective plugs round everything off in style, sitting on the underside of the structure with a view to maintaining your floors. 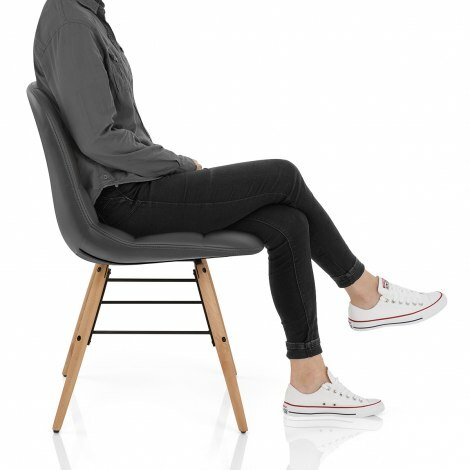 "We are delighted with the chairs"
We now have a set of 8 Tate Chairs. They are well constructed, stylish and very comfortable. We are delighted with the chairs.